Our Brass 6.5x14 Snare Drum is made using the same state-of-the-art processes as our legendary Aluminum Shells, laser cut and assembled using the latest in manufacturing techniques. 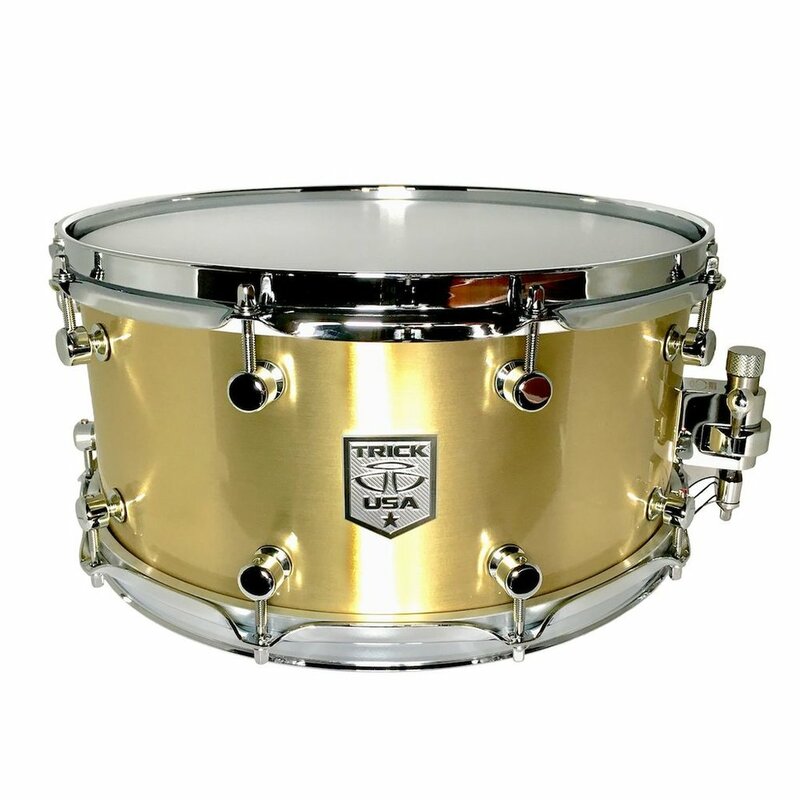 Our extreme standards allow us to create a Brass Snare Drum that surpasses any other. Tonally bright with a full body, this drum brings out every nuance of the player's touch. Extremely sensitive with a clean look. Like all Trick Snare Drums, it features Trick Lugs, GS007 Multi Step Throw, German Snare Wires, and 2.3mm Triple Flanged Hoops.